There are a million things about summer that I love… without a doubt, it’s my favorite season, and one of the reasons are wild raspberries. We have some raspberry bushes at the edge of our property, some I pick at my parent’s place, and for more, I’ll make extra trips to the local farmer’s market. 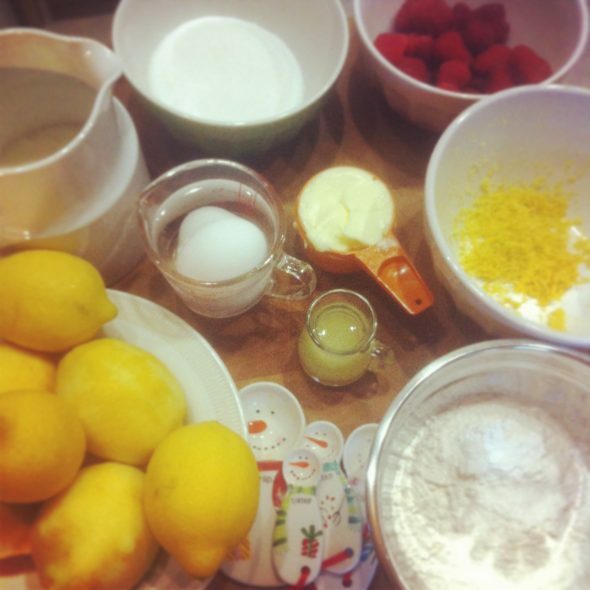 Inspired by a local bakery which makes yummy lemon raspberry loaves, I wanted to re-create the recipe to share with you. It took about 3 tries, but in my humble opinion, the results are worth it. Experimentation took place over a period about about 2 weeks, so by the time I did my last batch, the wild raspberries were gone, so these ones are a little larger. Still delicious, but a little less tart… If I make this recipe with California raspberries again, I might also chop them slightly, to help break them up a bit in the batter. 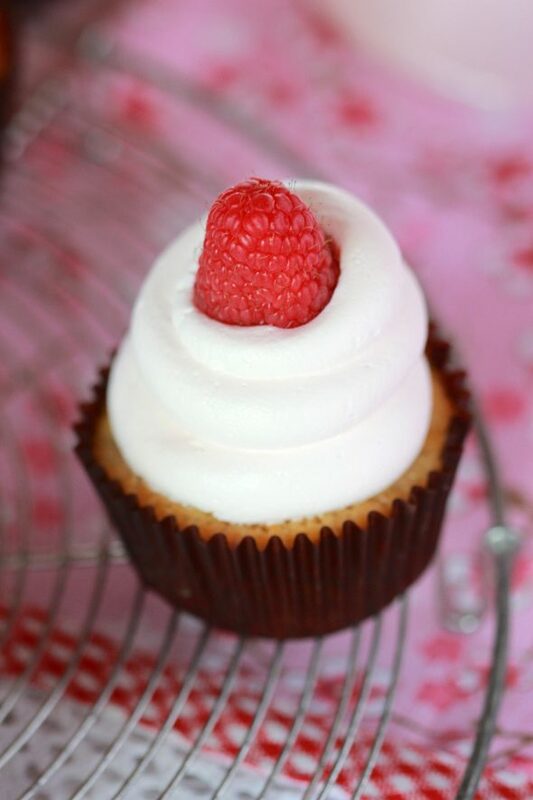 To make the raspberry buttercream, I used home made raspberry coulis (you can find the recipe here if you like) and a smidgen of pink gel coloring, as the coulis actually turns the icing a slight shade of purple-pink. Piped with an Ateco #807 tip , these were easy to decorate with a raspberry on top. Hope you enjoy making them and happy baking! In a bowl of an electric mixer fitted with the paddle attachment, or in a large bowl, beat butter with sugar until fluffy. Whisk together the flour, baking powder and salt; stir into butter mixture alternately with milk, making 3 additions of dry ingredients and 2 of milk. Fold raspberries into the batter. Scoop into paper-lined or a greased muffin tin. Bake in oven until a cake tester comes out clean, 20 - 25 minutes. Transfer to rack an let cool before icing. With the mixer on low speed, add 6 cups sugar, milk, and raspberry coulis; mix until light and fluffy. 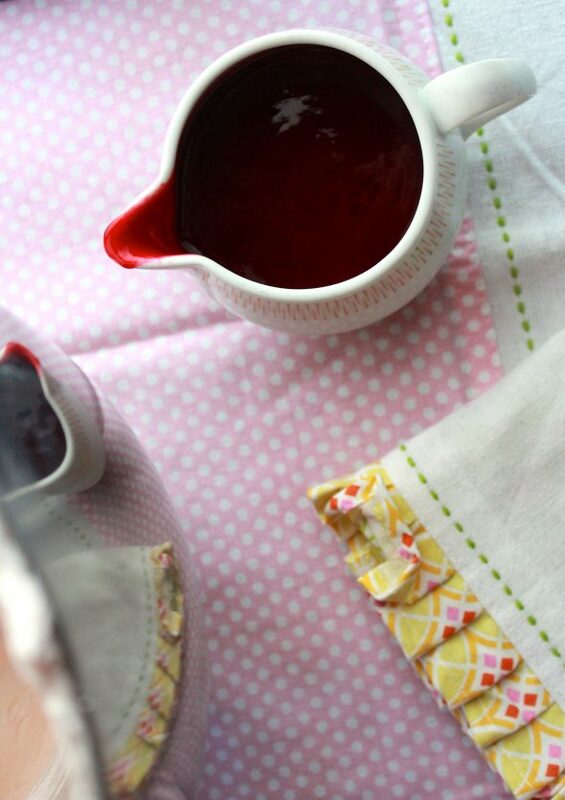 If necessary, gradually add remaining 2 cups sugar to reach desired consistency. Happy Monday again, because there is another blogpost from my favourite girl! 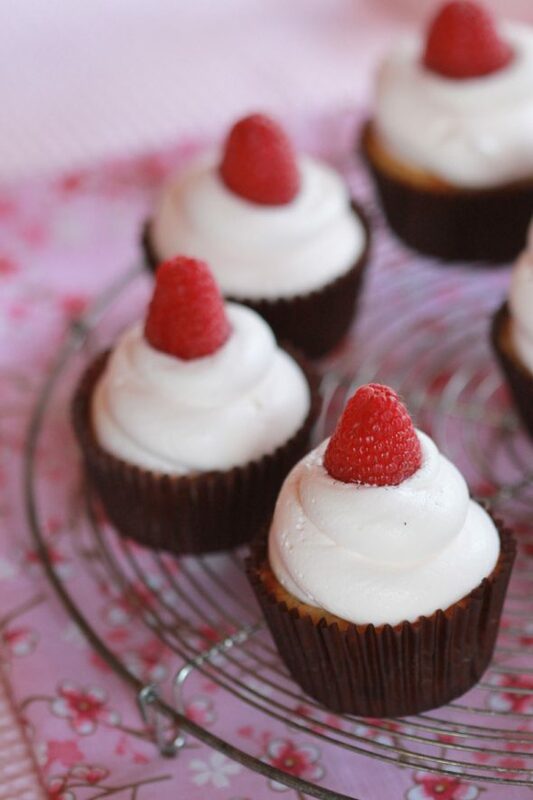 Marian, these look SO good and I am huge fan of raspberries..I WILL give those a try, a must, so summary too..! Thank you so much for this post and the recipe. Isn’t it great to finally come to a result that makes you happy in the end – after a couple of tries? Wish you a wonderful Monday, girl. How many does this make? They look delicious and I just got a great deal on fresh raspberries! It makes about 20-24 cupcakes (depending on the size you make them). Have fun! These look divine! How many little cupcakes does the recipe make? Thanks, Janet. It makes about 20-24 cupcakes, depending on how big you big them. Love these!! The flavors are perfect!! 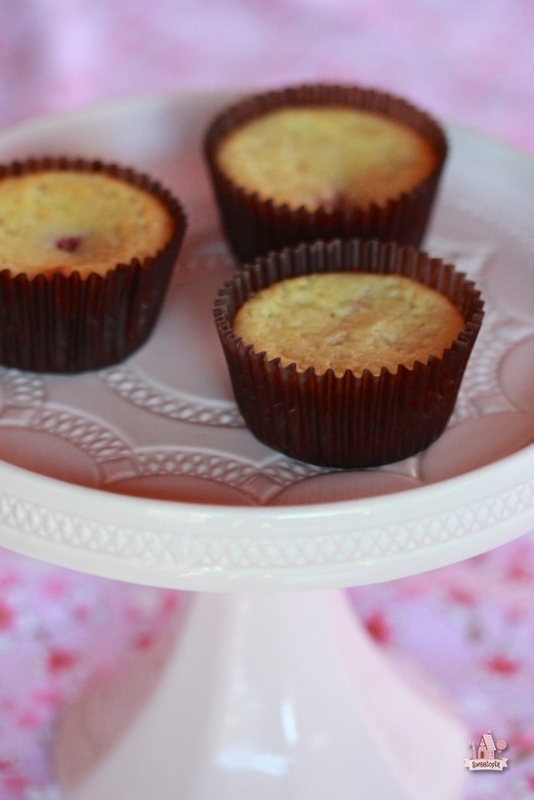 Love the lemon and raspberry combo and these cupcakes look amazing! I’m drooling at work! These look incredible! I can’t wait to try them out! You had me at wild raspberries. So beautiful, Marian! These cupcakes look wonderful. I absolutely love all the raspberry you added , especially with the lemon. thank you for sharing all your talent and ideas. What a tentation!! they look yummy… thank you Marian! Can’t wait to go to the supermarket to get some raspberries!! These look delicious! I love the lemon raspberry combo! I love your site! 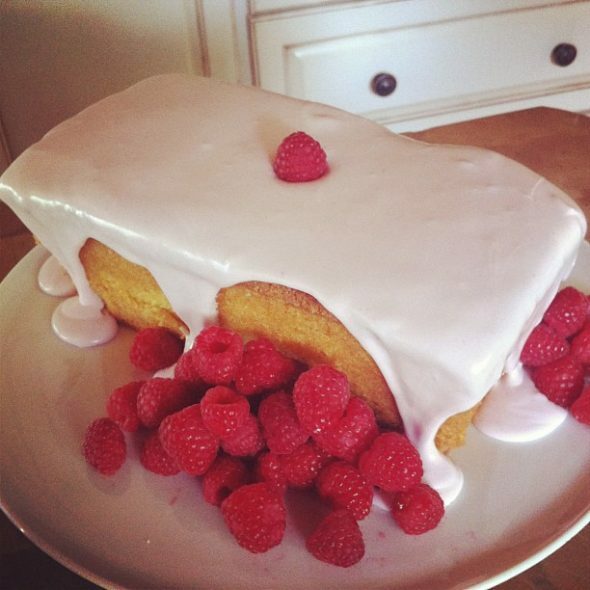 So pretty, I love lemon and raspberry desserts! I adore raspberries, how sweet that you have wild raspberries growing. Those cupcakes look so buttery and delicious. These are such pretty cupcakes!! Found you on Pinterest! We’d love for you to come over to our newest link party over at The Inspiration Network: DELISH- a desserts only link party. Bring your desserts and let’s party!! I made these this weekend for a baby shower desert table. They are a wonderful flavor combination with the lemon flavor. 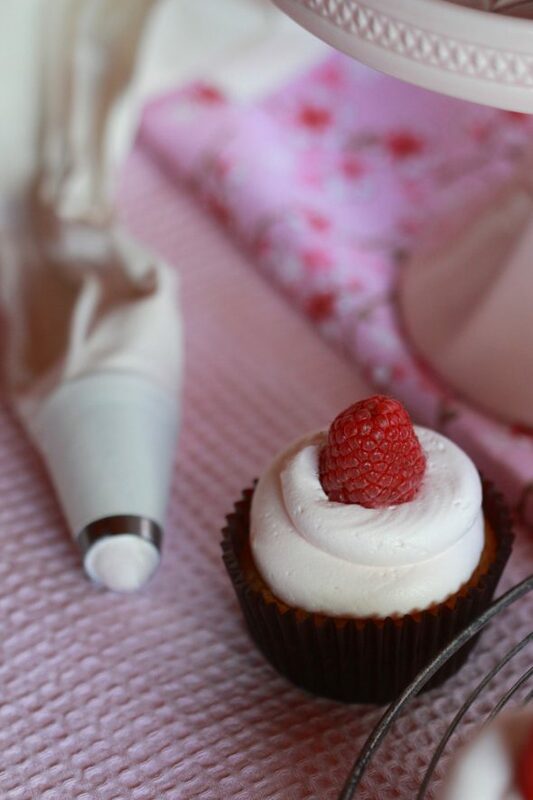 My raspberries made the buttercream frosting very pink. 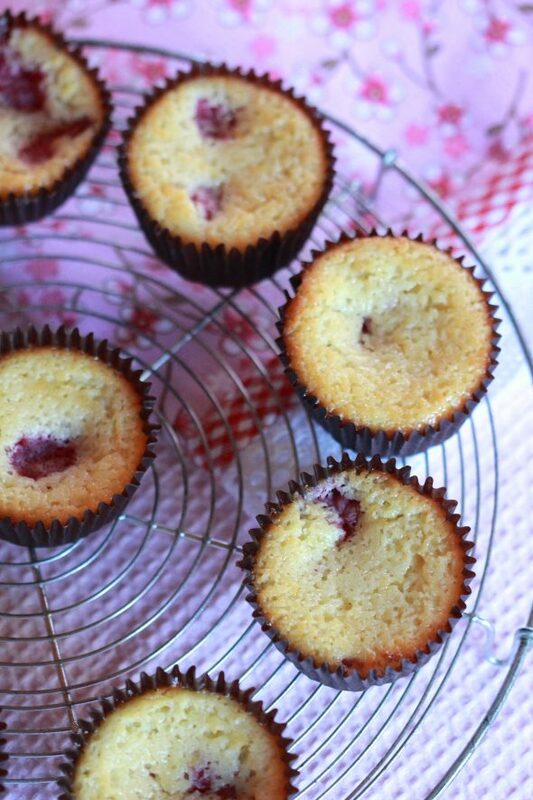 So delicious, but I added some lemon curd filling and a raspberry coulis to bump up the flavors of raspberry and lemon in the cakes, it made an amazing improvement! I just found this place yesterday and Im inlove!!! Such a beautiful cupcake! Thank you for your good recipe. These look so good! Instead of making the raspberry coulis, is there something I can buy at the store that’s close to the same thing? Hi Sarah, try a jam without the seeds. Happy baking!